We’ve been meaning to visit HOME in Manchester for a while now, especially as I was a regular at the Cornerhouse before the kids. 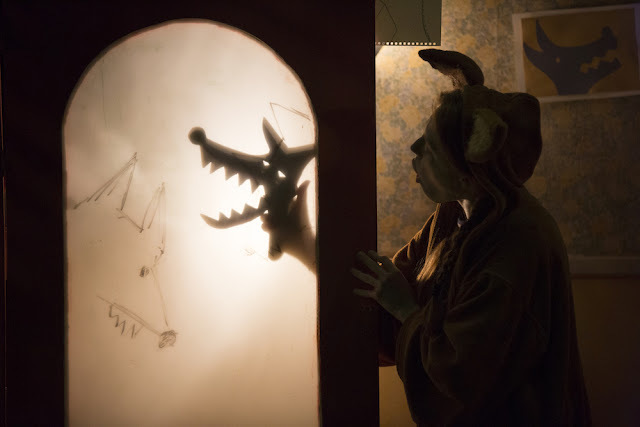 We got our chance this Christmas when we were invited to watch Red Riding Hood and the Wolf. Getting to the venue wasn’t a problem, it’s heavily sign posted and has its own car park (which is discounted by 25% when visiting the theatre). I had planned a mother/daughter day with my seven year old but hadn’t told her much about the story, as was keen to see her reaction. The theatre that the show took place in was quite small and due to the time and date we chose to attend, (it was the first showing of the day at 10.30 and most children in Manchester were still at school), all the audience were sat in the first few rows giving us a more intimate experience. The story begins with a child called Robyn who is ready for bed but manages to get just ten more minutes to read, before lights out. We then see her pick up a book of children’s fairy tales but become frustrated in their stereotypes. She then uses all her toys to create an alternative version of Red Riding Hood and the Wolf. We enter a world where Miss Hood isn’t as innocent as she appears to be and where the big bad wolf is maybe just a lost soul looking for his family. The story is told in such a creative way that you forget it’s essentially a one woman show and the puppets/toys used are wonderful for a child’s imagination. The length at around 45 minutes (without an interval) is also great for younger children. 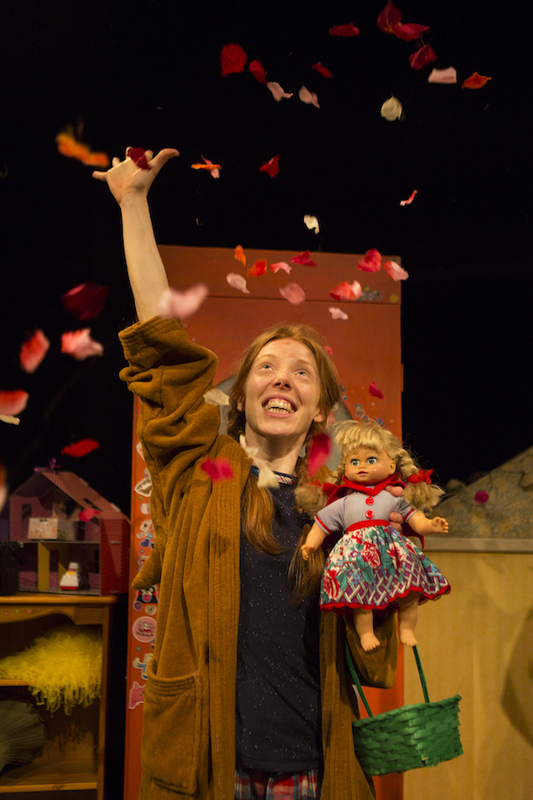 We thoroughly enjoyed this production and I was really pleased that I decided to take my daughter making her see characters (and hopefully) people from a different perspective and without prejudice. ‘Never judge a book (or a book character!) by its cover’. 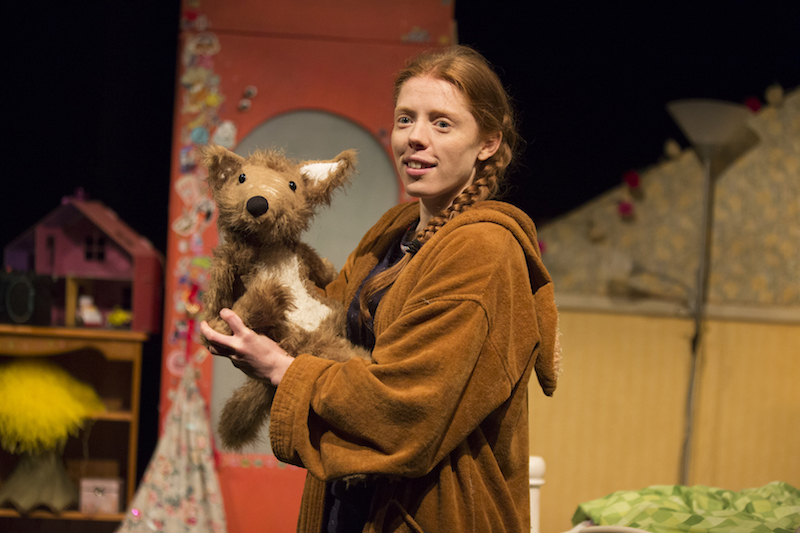 Little Angel Theatre’s Red Riding Hood and the Wolf is at HOME Manchester until Sat 30 December. More information and how to book tickets can be found on the HOME website. Shamaila Khan is a former BBC Content Producer and blogs at Trip Ups and Trips Out. Shamaila received a pair of tickets to attend and review a performance of Red Riding Hood and the Wolf.